While the majority of luxury brands operating in China have opened WeChat Official Accounts, many of them are still reluctant to run their businesses entirely on WeChat, instead opting to drive their subscribers to external websites and e-commerce platforms. However, WeChat doesn’t make this easy to do, blocking links from certain platforms and enforcing strict rules about how and where external links can be placed. This article summarizes the main restrictions and suggests alternatives. WeChat is without a doubt the most important mobile app in China and it has already successfully penetrated the daily life of almost everyone in the country. Although WeChat is continuously improving their user experience, from a digital marketer’s perspective, there’s still a long way to go. One of the biggest headaches for Official Account users is the complicated rules surrounding external links. While a lot can be done within WeChat, many brands and marketers still want to take users to external websites for various purposes such as campaigns and e-commerce, however, this is much easier said than done. WeChat has a number of restrictions on external links, primarily related to either the link content or the source of the link. In this article, we’ve summarized some key points about external links on WeChat, so you can use them to their fullest and make sure they’re not blocked by WeChat. In addition to external links linked to kind of content listed above, WeChat also blocks content from some other social media and e-commerce platforms. Usually, links from these platforms can’t be opened within WeChat. Instead, the user will be asked to open the link in another browser like Safari or Chrome. Many users find this cumbersome and fail to execute the link, affecting conversion rates. So, which platforms are blocked on WeChat? Toutiao is a news aggregation platform that recommends news to individual users based on artificial intelligence that analyzes their preferences. It also allows individuals and media organizations to create official accounts to self-publish, which is similar to how official WeChat accounts function. According to statistics from Analysys, Toutiao had accumulated over 250 million monthly active users by January 2018. 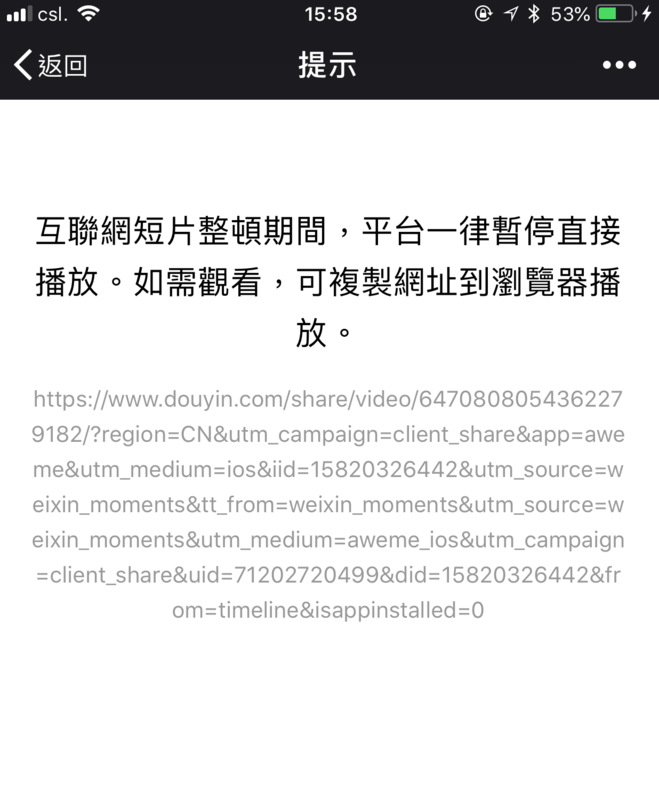 In early March this year, some users reported that the articles they had shared from Toutiao on Moments could not be seen by other WeChat users. Later, WeChat responded that these links were blocked because they contained content that enticed users to share, which had violated relevant rules and regulations. Some skeptical voices noted that the articles actually didn’t contain any content encouraging users to share and that there must be other reasons for the filtering. In January, Toutiao announced that it would start to ban users from promoting their official Weibo and WeChat accounts or directing users to these platforms. It also banned links to e-commerce websites including Taobao and Weidian. WeChat and Toutiao, as competitors in the mobile information flow sector, are increasingly reluctant to direct their users toward each other’s sites. For most brands and marketers, their goal is to encourage their WeChat followers to purchase their products or services so adding links to e-commerce sites on WeChat is highly desirable. 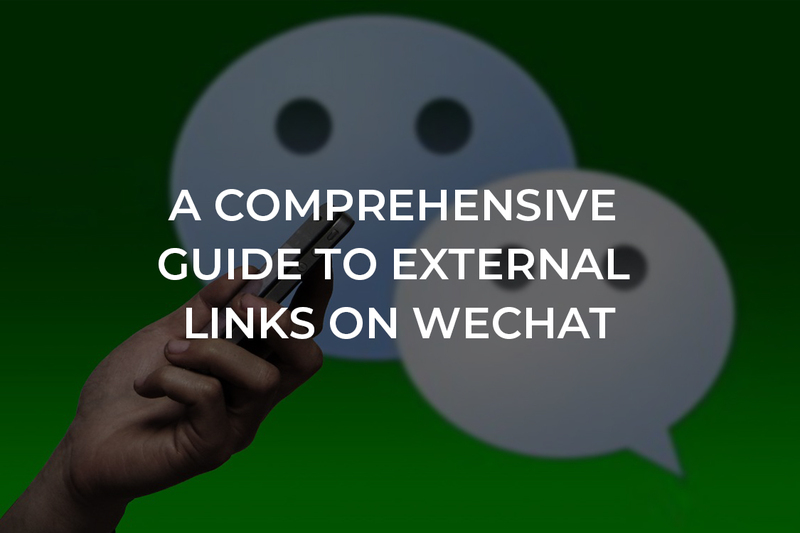 Here are some tips to help you link or embed e-commerce links on WeChat. As mentioned above, direct links to Taobao and Tmall don’t work on WeChat but there’s still a way that can send your WeChat followers to your Taobao or Tmall shop. One magic tool is a Taobao/Tmall passphrase (淘口令). It’s a set of random numbers and letters with the ¥ symbol used in place of hashtags before and after it. When users copy it from a WeChat article and then open the Taobao or Tmall app, the app automatically retrieves the passphrase from your clipboard and opens a small window to the correct page without you needing to do anything manually. Passphrases can direct users to the home page of a designated product, a coupon collection page, the home page of the online shop, a campaign page and so on. In addition to all the e-commerce sites mentioned above, in WeChat’s own ecosystem, there are also features designed for e-commerce purposes. With WeChat Pay integrated, users can finish the whole purchasing process without leaving WeChat. An official WeChat store (微信小店) can be integrated into an official account so that users can access it via the menu bar or the “Read More” button at the end of a WeChat article. 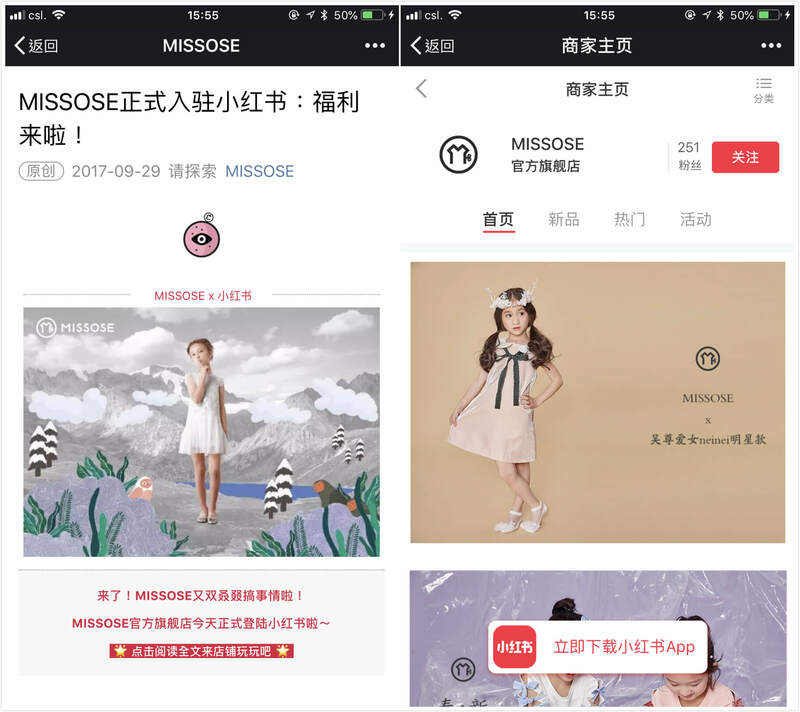 With the introduction of mini-programs last year, brands now have another option to build their online shops on WeChat. 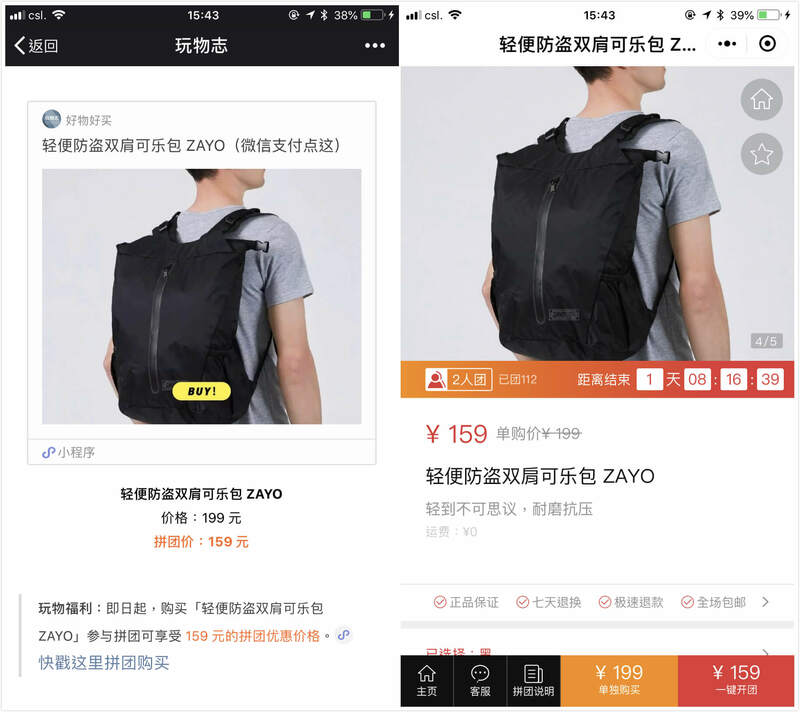 Products being sold in a mini-program can be shared in a card format and inserted in a WeChat article so that when users click the card, they can access the mini-program to view and purchase the product directly. 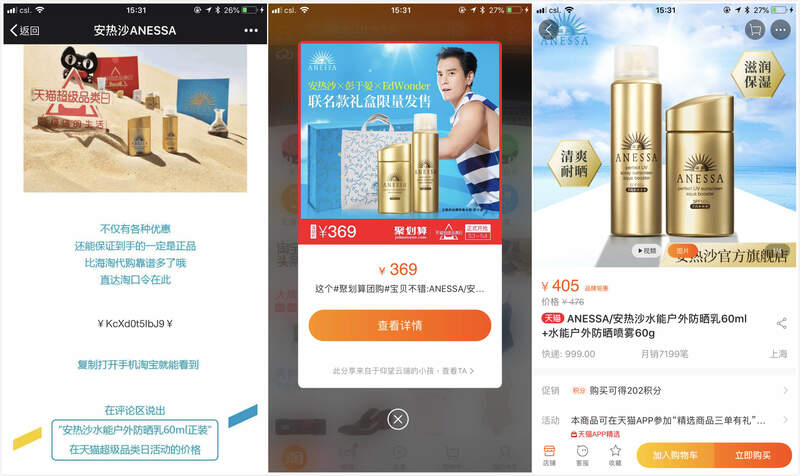 In terms of WeChat advertising, some types of ad formats can be used for e-commerce promotion, including banner ads (文章底部广告), mini program ads (小程序广告), and ads that are embedded in WeChat articles (文中广告). Usually, when users click on those ads, they will be directed to an e-commerce site. External links are important supplements for brands in terms of WeChat marketing. Brands and marketers should be aware of the rules and national policies that may affect the validity of links from external websites and platforms on WeChat. Disclaimer This article <A Comprehensive Guide to External Links on WeChat> was originally published on Jing Daily, written by Ashley Galina Dudarenok.